"What about their legs? They don’t need those. Ooh, they look tasty." one seen/heard the CD "At Dawn in Rivendell"? Also, check out Music Inspired by Middle-earth by David Arkenstone. --and of course... Pippin's part in "The Steward of Gondor"
I've been listening to the soundtracks almost non-stop since November as I've worked on my fanfiction. Sometimes the perfect song will come on--"The Great River" as I was writing a scene by Anduin, "Anduril" when I was in the middle of a sword drill scene, "Twilight and Shadow" too many times to list... Those have become my favorite tracks because they're linked integrally to my story. The other one that is awesome to write to is "The Black Gate Opens." Talk about something that just fills you with energy! Since the soundtrack and my story are almost one in my mind now, I've decided to title the chapters after tracks or lyrics. It's been an interesting process so far, and I added a twist today--chapter three will be "The Counsel of Elrond." Not a typo. I like Pippin's song, The Great River and too many others. The Houses of Healing one is called (what else?) The Houses of Healing and it is so good! That's in the complete recordings. The only thing that I'm sad about is that Itunes only has the RotK complete recordings. I recently bought the box set with all three soundtracks, and have hardly stopped playing them since. I think my favourite CD is the FotR one, and I can't really choose a favourite song, though the "credits" songs ("May it Be", "Gollum's Song", and "Into the West") are spectacular, and I love the choir section at the end of "The Breaking of the Fellowship". And I'm another one who likes the Rohan theme. :heart: "The Riders of Rohan" is brilliant. When I first read the trilogy aged 12 I listened to Sibelius, Vaughan Williams, Holst as it seemed to fit Middle Earth. Imagine my annoyance when, grudgingly deciding to watch these so-called films of the book, I hear MY theme music. The nerve! Of course I was hooked. I reccomend a listen to Sibelius 2nd in a dark room, you may hear some things you recognise. Also the 7th symphony, which only has one movement, a sort of tone poem. I see it more as sound sculpture, but then I'm pretentious. Mostly it's Englishy sort of music. Sibelius is honorary English. As for the soundtrack, it's not the same. 19 tracks? Snippets really but no story. I thought there was a concert version of the music but I can find no trace. Anyone else heard of it? I've recorded the credit music from the Special Extended DVDs and I listen to that. If you haven't got this 12 disc set I urge you to get it. The film is mostly better than the theatrical release but the six Appendix discs are worth it alone, almost a masterclass in film making. But in fact, I absolutely love the three CDs. I don't personally own the soundtrack, but I've checked it out multiple times from the local library. I'd have to agree with ashe about favorite tracks. A new book has come out related to Howard Shore's development of the soundtracks that sounds like something I want to put on my Christmas list. Entitled "The Music of The Lord of the Rings Films: A Comprehensive Account of Howard Shore's Scores by Doug Adams", it describes the themes, includes background about the films, bits of the sheet music and discussions about the instruments and choruses. You can read the description and the review of the book here. I have that book on my Amazon Wish List. i've listened to the soundtracks so many times i can identify any piece of music from them, just play it to me and i'll tell u the name of the piece, where in the movies it is and what is going on at the time. "The Grace of Undomiel" (From RoTK complete recordings) really beautiful, and it has Pippin and Gandalf's arrival at Minas Tirith. "The Eagles" (From RoTK complete recordings) The beginning is so amazingly beautiful and sad, and Renee Fleming sings amazingly. "The Lighting of the Beacons" (RoTK complete recordings) It's the beacons music, of course it's awesome, and it has the muster of Rohan ("And Rohan Will Answer" part to. "The Steward of Gondor" The intro flute is great, and Pippin's song is too. "The Grey Havens" This one is so sad and beautiful. "The Mouth Of Sauron" (From RoTK complete recordings) This has the music for Aragorn's speech at the Black Gate, and Sam and Frodo on Mount Doom. "For Frodo" (From RoTK complete recordings) AWESOME. "The Battle of the Pelennor Fields"
I love the soundtrack music! A friend and I are currently arranging Concerning Hobbits for our school orchestra. I can't wait to hear it performed! Mine have been missing since I moved. If not, I would have listened to them today. "The King beneath the mountains, The King of carven stone, The lord of silver fountains Shall come into his own! His crown shall be upholden, His harp shall be restrung, His halls shall echo golden To songs of yore re-sung. The woods shall wave on mountains And grass beneath the sun; His wealth shall flow in fountains And the rivers golden run. The streams shall run in gladness, The lakes shall shine and burn, All sorrow fail and sadness At the Mountain-king's return!" The soundtrack is one of the (if not the) best parts of the film, in my opinion. 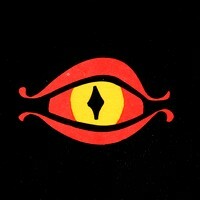 My favorite soundtracks are "Concerning Hobbits", "The White Rider", and "The King of the Golden Hall". My other favorites are what I call "The Lighting of the Beacons" (which I believe is actually called "The White Tree" and what I dub "The Fellowship Theme" (actually called "The Bridge of Khazad-dum" . Of course the lament for Gandalf is superb and the theme for Rohan stellar...I really can't pick a favorite! I did a whole blog post about just this topic! I love all the music! These are literally all in my favorites for LOTR. Have you heard Ironfoot for The Hobbit? It's a great song, and uses bagpipes very well! The complete recordings for the Fellowship Of The Rings have just arrived in my country! I absolutely adore them! Good thing that I have a stereo with 3 disc spaces. Concerning Hobbits is one of my favorites, and Into the West makes me cry every time! Lament for Gandalf is also very emotional, and the Fellowship theme is always enjoyable.